Vladimir Putin with Moscow Mayor Sergei Sobyanin. Mr. Sobyanin, let us talk about Moscow’s performance in 2016 and plans for 2017. 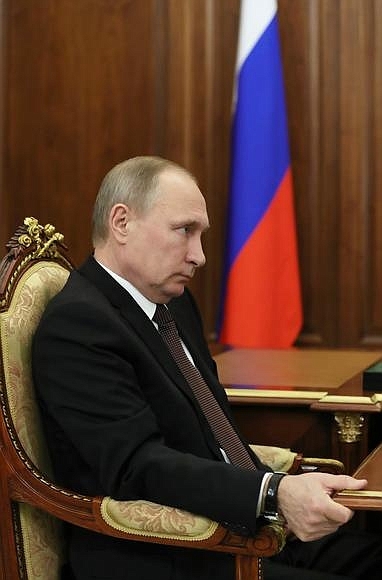 Mr. President, it was a difficult year because we did not know what would happen to the economy, investments and the ruble exchange rate, as well as because of other expectations. There were many things that alarmed us. However, the main trends turned out to be positive last year. The industry, in particular the manufacturing sector, has begun to recover; we will see a 2 percent increase, according to preliminary results. The manufacturing sector increased exports considerably, which is a positive trend that is based not only on import substitution but also means that our industry is becoming more competitive internationally. As for attracting investment, the volume of funds invested in the city has increased by 3 percent for the first time in the past three years. In fact, this is a record high in comparable prices. We saw 1 percent and 1.7 percent increases in investment before; the volume of investment did not fall in the past years, while this year it went up by 3 percent. Moreover, foreign investment volumes remained stable. This is evidence of a stable inflow of both foreign and Russian investment. Annual investment in fixed assets is estimated at 1.6 trillion rubles, which is a lot. Last year, we completed several transport projects that were record-breaking in terms of scale. We launched the Moscow Central Circle railway line together and it was with your support that this unique facility was built. Now 330,000 passengers use this line every day. We built 117 kilometres of roads, which is an absolute record in Moscow history. Those are not just new roads out in some field but roads integrated into the urban environment, including interchanges, over and underpasses, reconstructed roads. It was quite a complicated project. However, despite the current situation, we were able to achieve this. The scale of housing construction was slightly lower than the peak numbers of last year. However, if we take the mean annual figure for the past five years, it was still higher than that. We can see that the real estate market is growing too. There is no doubt this industry will be developing, including civil construction, housing and commercial properties. Small and medium-sized businesses caused us great concern. You have repeatedly told us that it is necessary to focus on building the necessary infrastructure and provide support for small and medium-sized businesses. I must say the number of small businesses in Moscow and individual entrepreneurs has increased by 10 percent, which is pretty good growth for last year. Budget revenue from small businesses has reached 17 percent, which is a more objective indicator. This means that profitability is growing, as is the number of businesses. We have achieved some very positive results. We are finishing the housing renovation programme and demolition of Khrushchev-era buildings [five-storey blocks of flats built during the mass housing construction era when Nikita Khrushchev led the Soviet Union]. Since the beginning of the programme, we have relocated 160,000 families to 6 million square metres of renovated housing, which is a significant number. We have very few buildings left. I think we will complete the programme within the next two years. However, even though we have succeeded in this part of the programme, there is still plenty of uncomfortable housing in Moscow to put it mildly – basically, rundown housing. I am talking about five-storey buildings of a similar design as those demolished, but their number is substantially higher. A total of 25 million square metres are occupied by 1.6 million people. Today we are facing a dilemma. We collect money from those people for major renovation of that housing. 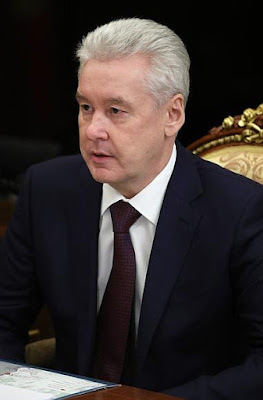 But when we examined it we found a whole range of serious problems (Sergei Sobyanin continues to describe specific issues of the Khrushchev-era buildings that were expected to last 25 to 50 years at the time but which are now not up to modern housing standards). Mr. Sobyanin, we have already spoken about this. I know Muscovites’ sentiments and expectations. Their expectations are that these buildings will be torn down and new housing will be built in their place. It seems to me that this would be the right decision. The only question is whether Moscow can afford it, what its budget can handle, and its ability to attract investors, and so on. Indeed, this project requires huge financial resources, significant organisational and administrative costs. We know what we are facing. The demolition of the first series of five-story buildings – a far smaller project in fact – required an incredible effort. Many investors were ruined by these projects. The city took these projects over and is bringing them to a logical conclusion. Today, Moscow's budget is rather stable. We paid off most of our debt that extended from previous years. This year, we expect good budget revenue, as I said, from the profit tax, the personal income tax. We have a safety margin. Therefore, from the financial point of view, we can see that the city has a certain potential. However, there are certain problems associated with the regulatory side of the process (The Moscow Mayor went on to cover the legal issues concerning the demolition and renovation of obsolete housing). Therefore, Mr. President, if possible, I would like to ask for assistance in changing the regulatory framework and initiating a special law. We are ready to prepare a draft, to coordinate it, so that we could implement the project most effectively, from the legal perspective. For our part, we will resolve all the financial and organisational issues. This will certainly be a great contribution to the renewal of the city, to improving the environmental situation, the transport situation, and to the creation of a new urban environment. 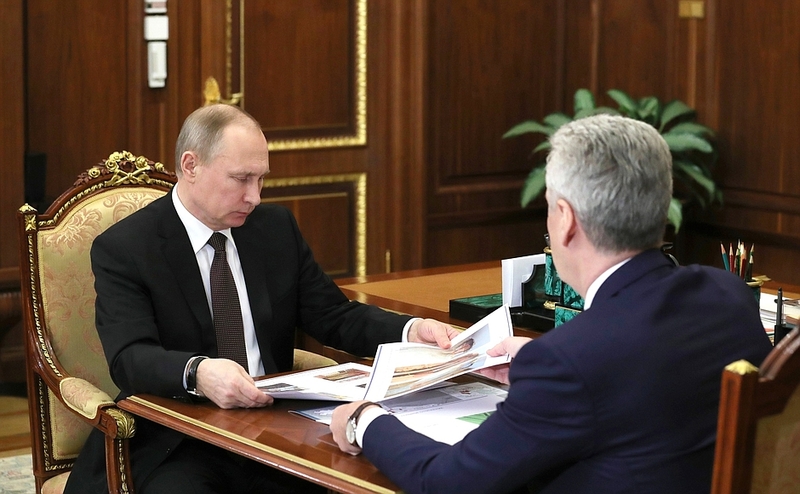 It is no less important that 1.6 million Muscovites will receive new modern housing to replace the old buildings, which, I am afraid will be simply dangerous to use in 10–20 years despite our repair efforts. Fine. Let us do it, but assuming everything we do is for the benefit of the people and will improve their lives – this is the kind of work and organisation I will be expecting. The next issue you will need to resolve has to do with resettlement, people’s future place of residence. It is necessary to make sure all the people are satisfied. This means you will need to work this out with the residents you will be resettling, and to do everything transparently, to show them exactly what benefits they will get from these projects. We will do so, Mr. President, we have a wealth of experience. We usually try to resettle people within the areas they now live in, offering good options so that the vast majority of residents remain satisfied. After the renovations, the worth of the buildings, their capitalisation will increase by at least 20–30 percent, even if the flats do not expand in terms of square meters, the quality of the housing becomes entirely different. Therefore, I believe the changes will be taken positively, especially given that we are receiving piles of complaints [about these buildings] from the residents, from municipal deputies and their associations, and the Civic Chamber of Moscow. We have grounds to say that this is a people’s project. Fine, let us do it. 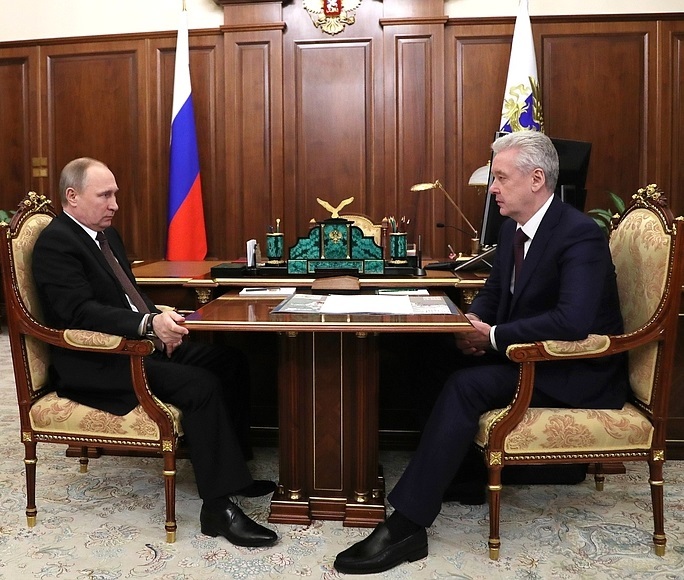 Vladimir Putin meeting with Sergey Sobyanin. 0 Comment to "Putin had a meeting with Moscow Mayor Sergei Sobyanin"